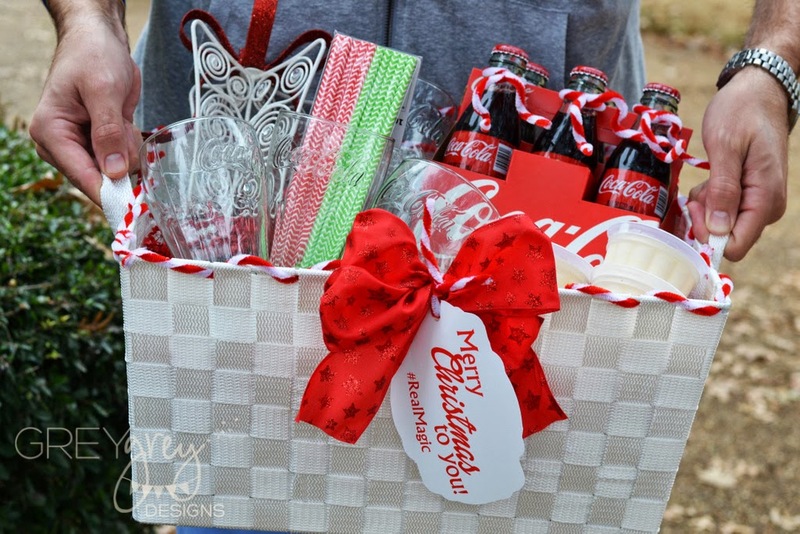 GreyGrey Designs: Real Magic for Christmas: Share a Coca-Cola Float Gift Basket for your Neighbors! 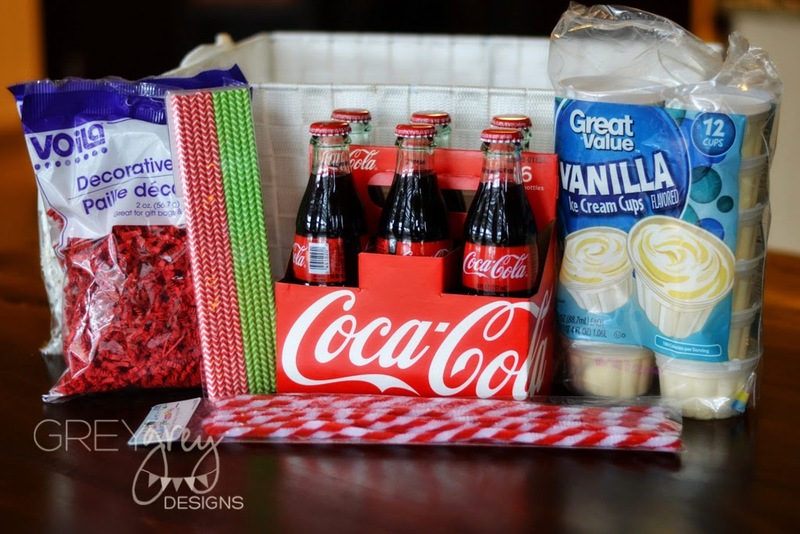 Real Magic for Christmas: Share a Coca-Cola Float Gift Basket for your Neighbors! Christmas is such a magical time. I feel like I am always looking for cute gift ideas for special people in our lives. Because, the real magic of Christmas is giving. And, if your family is anything like mine, we have a TON of people to buy for just in our immediate family. But, I like to do nice things for our neighbors and friends too, without breaking the budget. So, today I am going to show you how to get inspired to create a SUPER easy gift for friends and neighbors, just to show them that you are thinking of them this holiday season. And the best part? It's under $25. For the first step, I picked up some of these adorable glass bottles of Coke at Wal-Mart. I don't know about you, but I feel like everything is cuter in a little glass bottle. 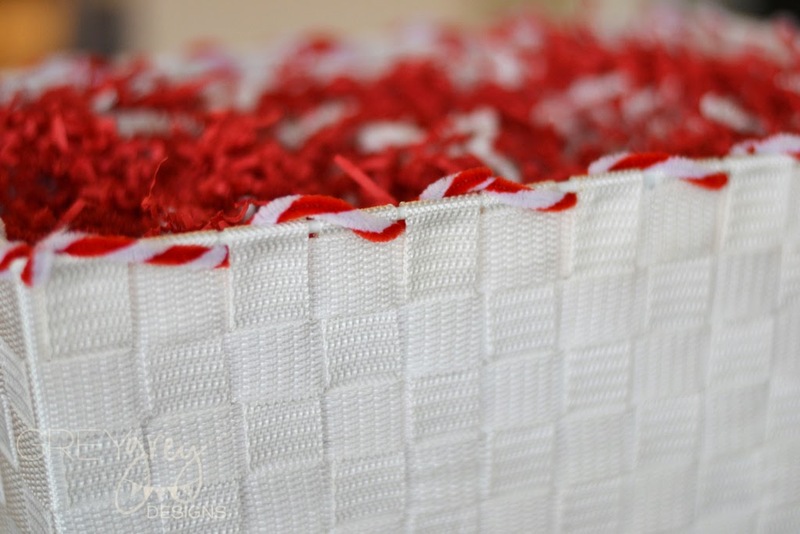 So, here's what you will need to make an extra cute basket for your neighbors or friends! I found a low profile, wide mouthed basket at the craft store to start my project. 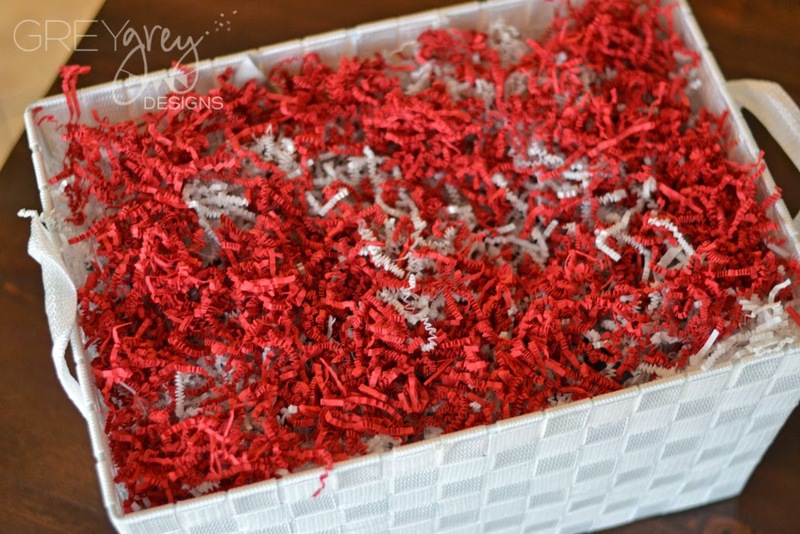 Here's a pro-tip to styling baskets---newspaper! 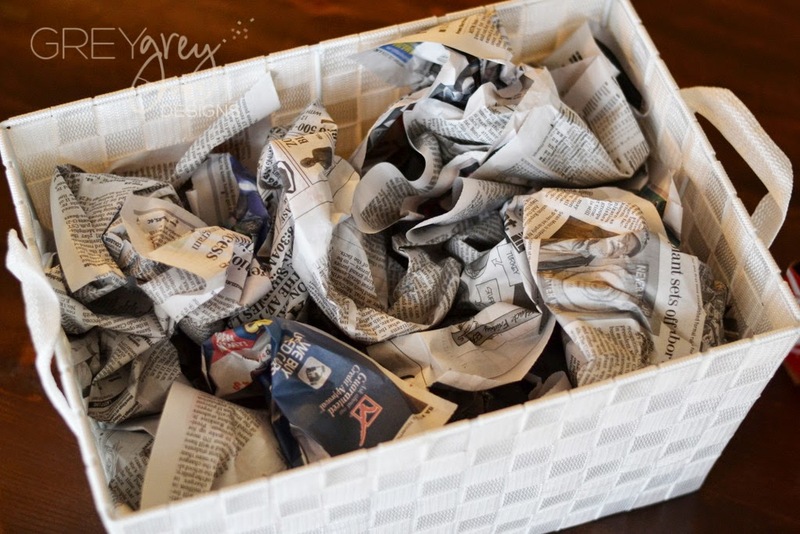 Add crumpled newspaper (or leftover plastic shopping bags) to the bottom of your basket to help build up the contents. After I added the newspaper, I simply put red and white bag shred on top for fluff. 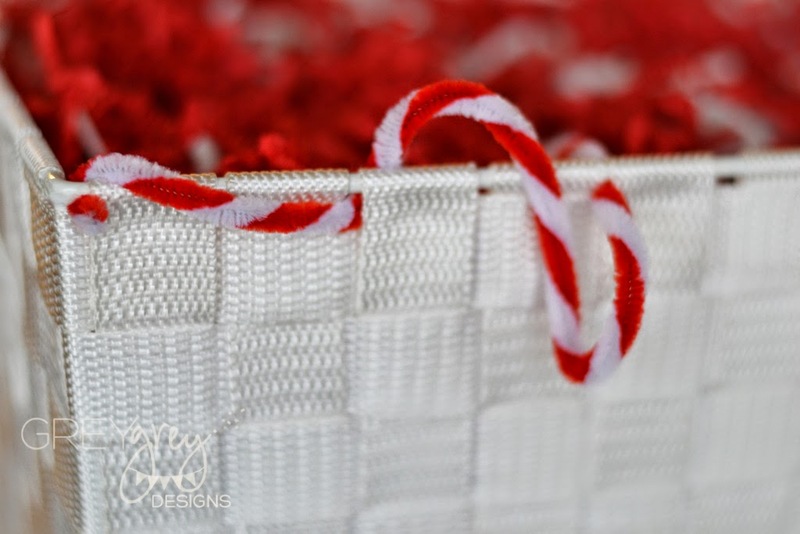 To make the basket a little extra festive, I added some of these red and white candy striped pipe cleaners. I threaded them through the top of the basket, all the way around. Then, I added the 6 pack of Coca-Cola in glass bottles, some individual ice cream cups, straws, and some cute glass Coca-Cola glasses from the dollar store. I used the extra pipe cleaners to add some cute little "scarves" to the necks of the Coke bottles. 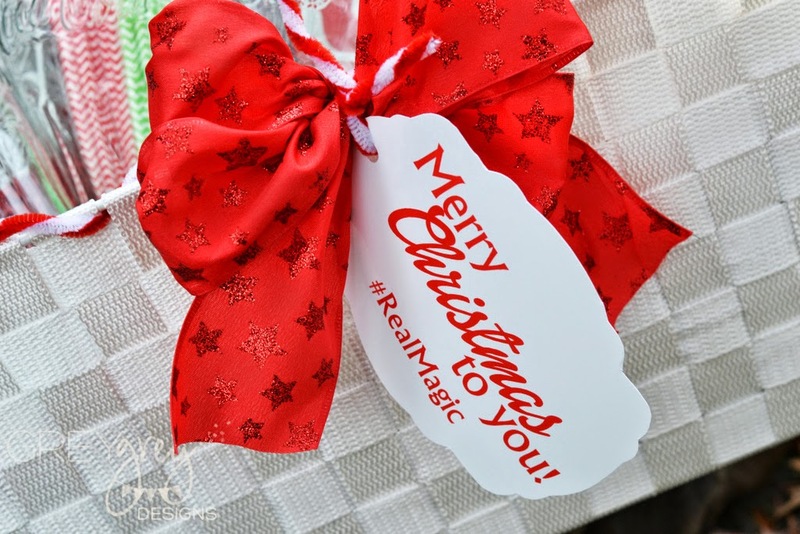 I added a tag that I designed with my Silhouette and some cute red ribbon and it's ready to give to my neighbors! 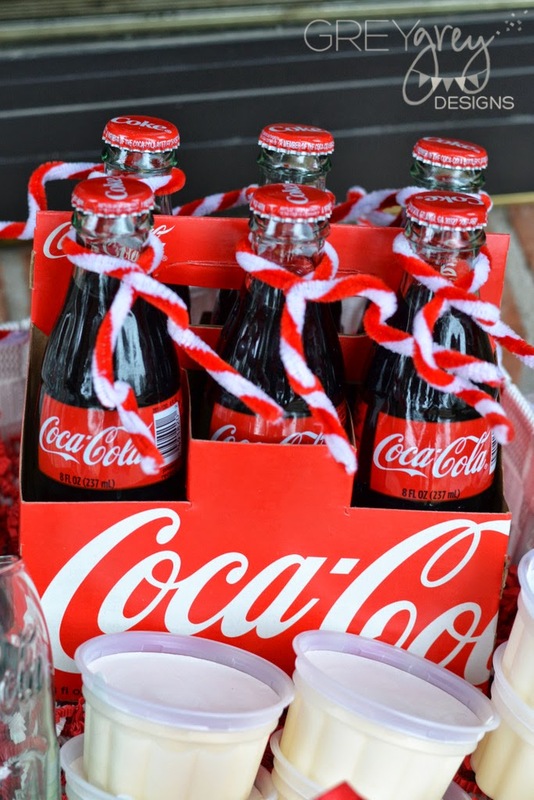 Do you have a fun tutorial using Coca-Cola that you can share? Or any ideas on how to make this Christmas more magical? If so, make sure you use the hashtag #realmagic, because when My Coke Rewards sees those hashtags, they will send a special message back to you! Also, be sure to tweet or Instagram a picture of your smiling face (and maybe those of your friends and family too), along with that hashtag! Because, Christmas is all about making people smile! 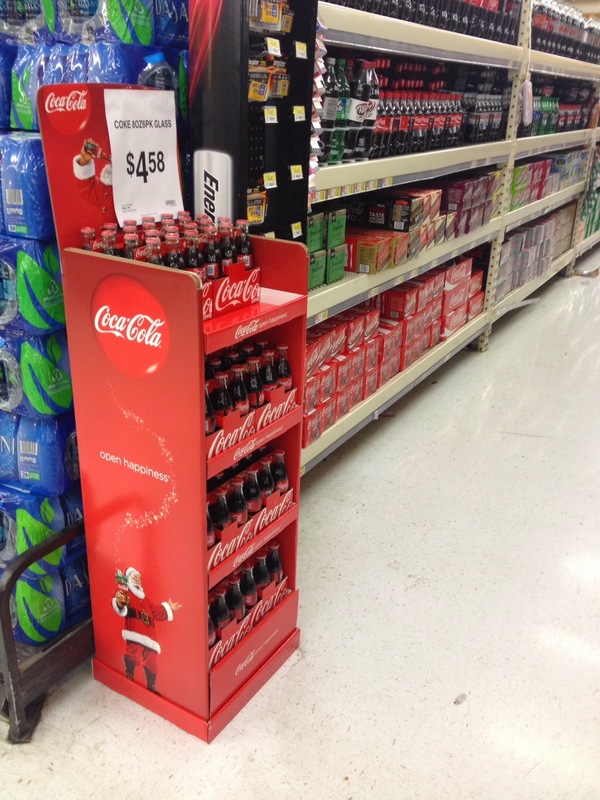 My Coke Rewards is a great new program that rewards you for your purchases through points! You can use those points, OR you can donate them to one of many deserving charities. I love that part! My favorite option is the St. Jude program! You can donate your points directly to St. Jude. As the mother of a patient at St. Jude (my son has a genetic disease that creates tumors), I cannot stress enough how much we love that place! And we're in Memphis! Have fun creating real magic with your family this Christmas! What a super cute and fun idea for a gift! Love it! This is a darling idea!! This is so cute and a great gift idea for friends and neighbors! That gift basket for floats is such a clever idea! You've done it again Brittany! 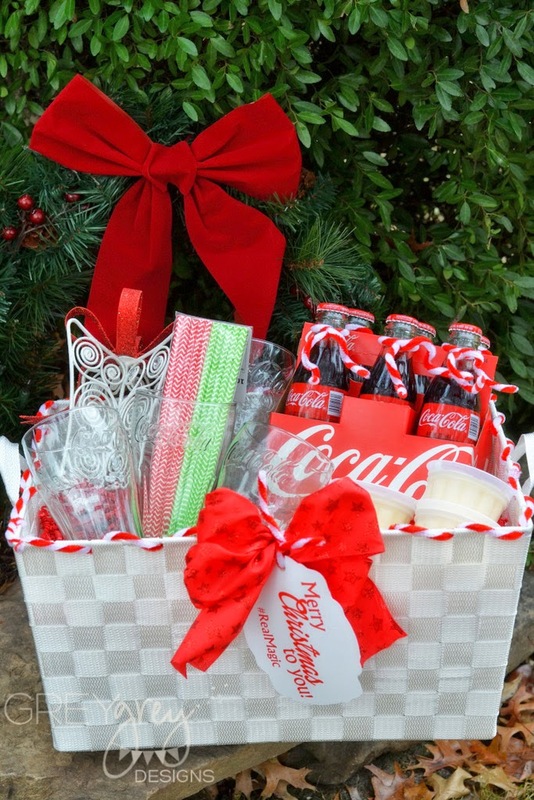 This is a great idea - my in laws LOVE Coke products and I know this would be a big hit with them on Christmas Eve. Thanks for the idea! Girl you KNOW I would love this! I heart Diet Coke....Great job. I know a few people who would LOVE this! 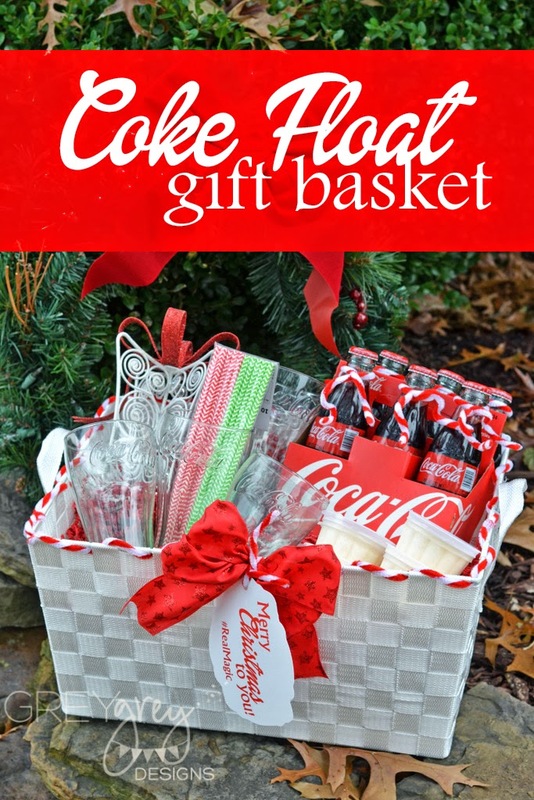 What a perfect Christmas idea!This is so cute and would be flawless at a festive Christmas party!I totally love this!I'm a Coca-Cola girl in any case, and this simply fulfills me super!Thank you so much.